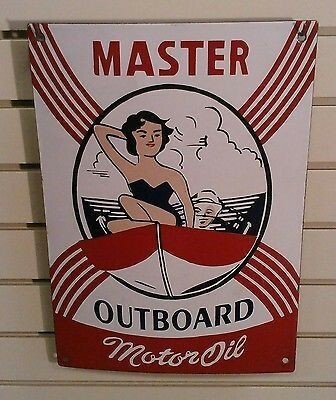 This small 12″ by 17″ sign is for Master Outboard Motor Oils. The sign is red, black, and white. In the center of the sign is a well design illustration of a woman on a boat in a bathing suit.